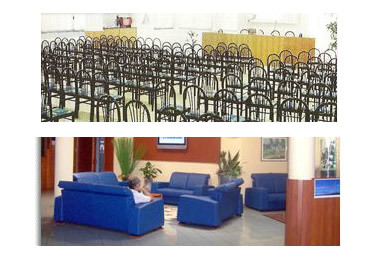 The room congresses it is endowed with all the equipments of base (bright blackboard, sheets blackboard furniture, screen) and, on application, of further tools able to satisfy the demands of every meeting. The personnel of the reception is to disposition as office reception office (fax, photocopies, e-mail, etc.). For every meeting the Garden of the Tiglis foresees the offer of Coffee Break with warm and cold drinks accompanied by sweets facts in the house.